Be a part of the Education Revolution with SmartQ ! 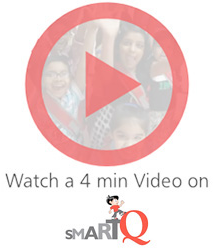 SmartQ is a growing organization offering life-skills based, education program that completes the development need of the children of today in the age group of 5 to 12. We offer a non-curriculum program that is offered to children after-school hours, often over week-ends. We operate through pure Franchise-led model and provide an opportunity to kick start your own venture and help bring about the perfect family-work balance. Since our inception in 2010, we already have over 120 SmartQ franchises in over 45 cities spread across the country and expanding every month. We are aiming at making our presence felt all across the country in the next couple of years. We are a merit driven organization, We take pride in what we do and have a passion for delivering excellence. An organization that offers tremendous growth opportunities.